Mini is banking that its redesigned convertible -- with a BMW architecture and engines and a host of new premium options -- will push the model up and away from volume competitors. "The new Mini convertible has a great balance of playful personalization and sophistication," said David Duncan, vice president, Mini of the Americas. "The bespoke levels of customization set it apart from other convertibles on the market, while the front-wheel-drive BMW architecture and engines make it fun to drive and practical in any driving conditions." Mini said pricing for the four-seat soft-top convertible will be announced in January. It goes on sale in the U.S. in March. It is one of Mini's five so-called superhero, or core, models. Mini's strategy with its new generation of cars is to focus on volume models rather than expand into more niches. The three- and -four-cylinder engines with TwinPower turbocharging are mated to a base six-speed manual transmission or an optional six-speed Steptronic automatic transmission. 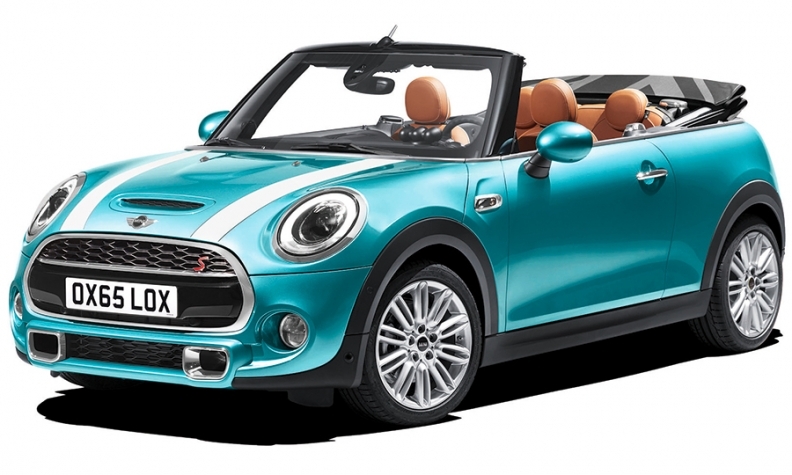 The convertible will be offered as a base Cooper or high-performance Cooper S model.